Premier Carrier had been using an antiquated accounting system, which the software developer actually discontinued and stopped supporting. 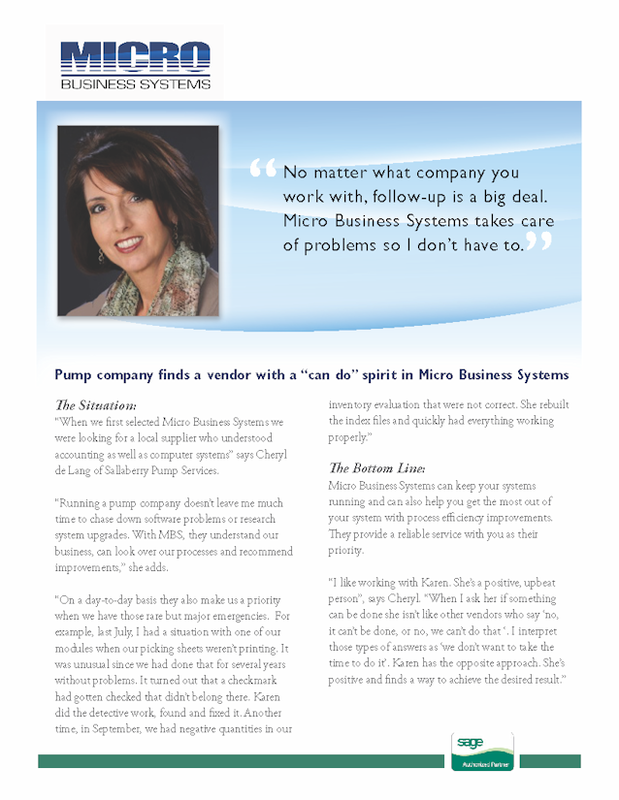 “We had been able to continue using the system since then because the data entry piece worked well enough, however, finding entries to edit has always been cumbersome and time-consuming,” stated Donna Goliti, with Premier Carrier, Inc. The company knew it was just a matter of time before their old system wouldn’t support their needs any longer, so the search started for a replacement. Their primary objective was to find a system that would be supported while making the accounting functions easier, faster, and more reliable. Premier Carrier talked to several software vendors, but none had a solution that worked the way the company needed to work. The systems would require Premier Carrier to change and adapt to those systems, and they all seemed cumbersome with no option for customization. 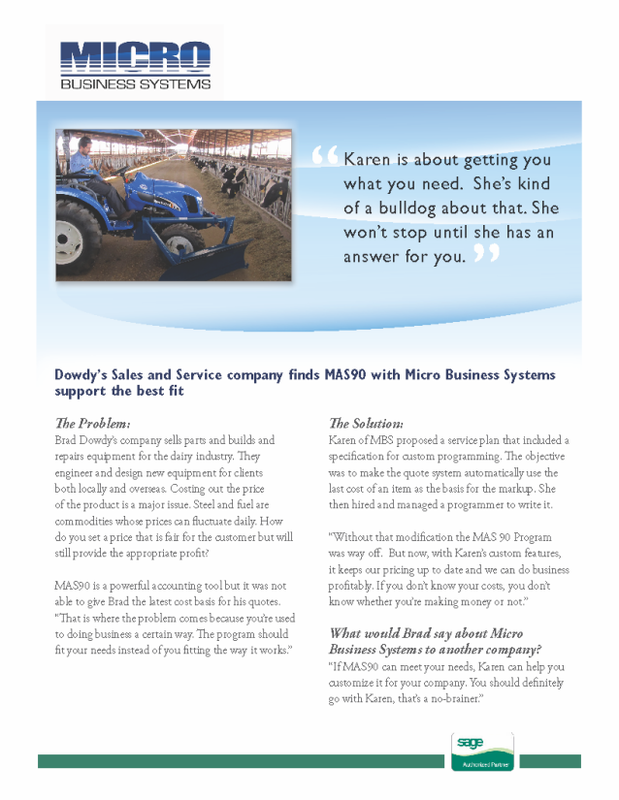 This changed however, when they talked to Karen O’Lane at Micro Business Systems about Sage MAS 90. 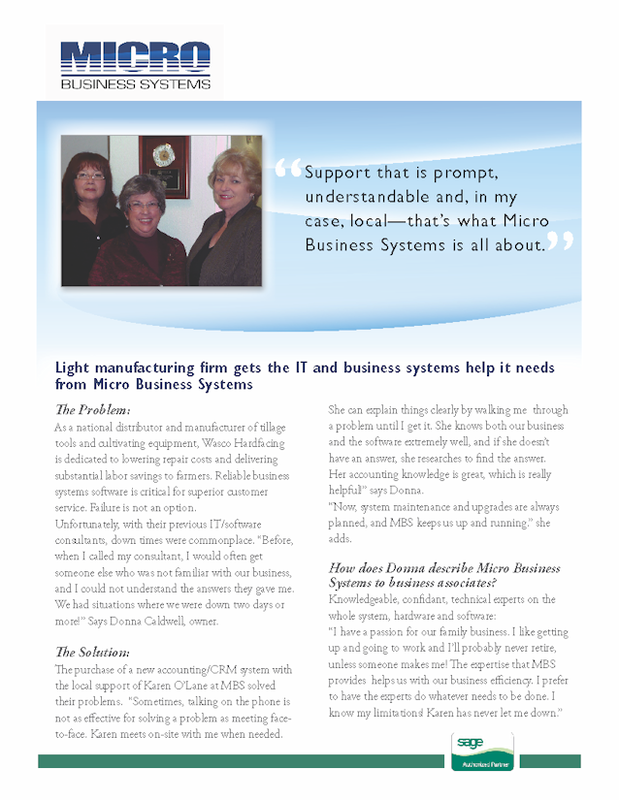 Florestone Products has been working with Micro Business Systems since 1992, and that’s because I know that I will not find a more professional, helpful, and honest provider at any price. Everyone at the company is extremely personable, and I feel like we’ve become friends as well as clients. I can trust them to provide me with accurate estimates, skilled service, and thorough technical support (even when the problem is due to my own tinkering). 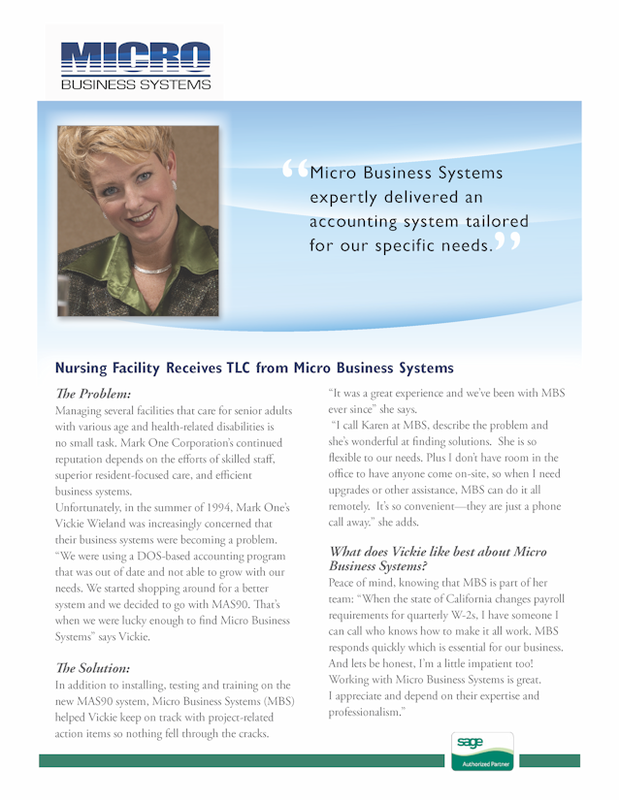 I want to be completely honest – when Micro Business Systems suggested that we switch to the Paperless Office System, I was nervous. I’m a hands-on person, and I like to be able to riffle through our files as I research questions. It’s second nature for me to grab a stack of paper and pull out the exact sheet that I need, almost without looking. The idea of simply not having paper files concerned me. I was afraid that we wouldn’t be able to find important information easily anymore. Frankly, I was expecting the worst.